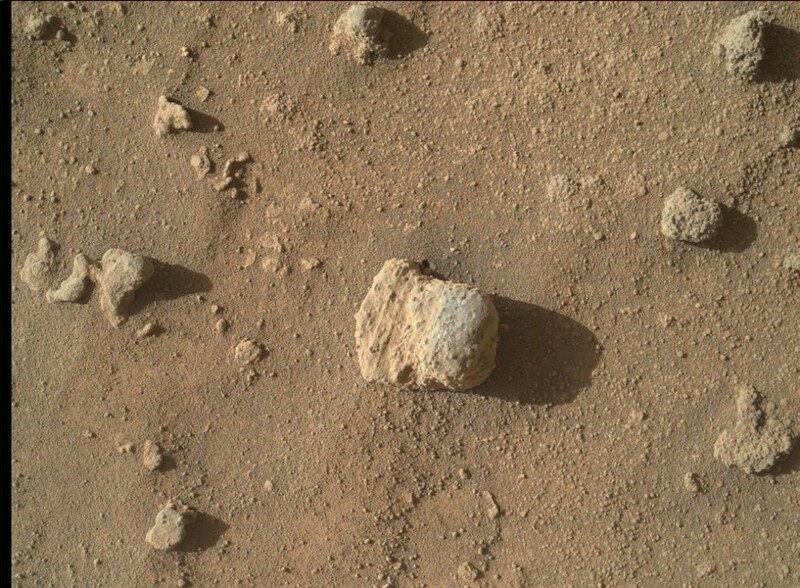 Looks like any old rock – but this is no ordinary rock, its on the surface of Mars. 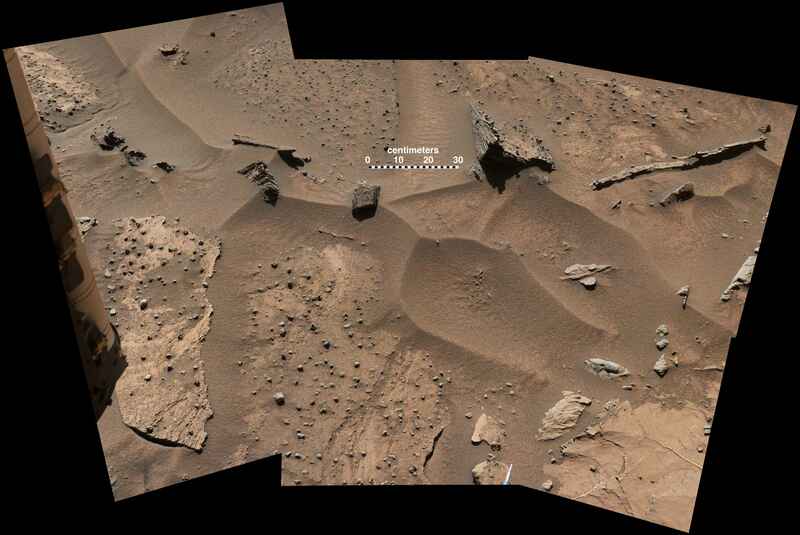 This rock was photographed a couple of days ago using the Mars Hand Lens Imager (MAHLI) on NASA’s Curiosity Mars rover. Curiosity has now been operational on Mars for 1, 282 days. The unassuming rock in the center of this image consists of laminated sandstone with small nodules and is 2 cms across. Weathered nodules litter the ground around the rock. This nodule is about one inch (two centimeters) across. It appears within the composite image below in the left foreground. The image was taken on a Sol 1276 view from Curiosity Mast Camera. Panoramic image from the Mast Camera. The rock above is from the left of the image. The image field is around 2×1.5 metres. More Detail. Patches of Martian sandstone visible in the lower-left and upper portions of this view from the Mast Camera of NASA’s Curiosity Mars rover have a knobbly texture due to nodules apparently more resistant to erosion than the host rock in which some are still embedded. Just for a little perspective, while we view the geology on another plant, its a little more than 100 years since we first flew in the air! More information on the Image is available here.